Morah Katie: Why did we not come to school Monday and Tuesday? 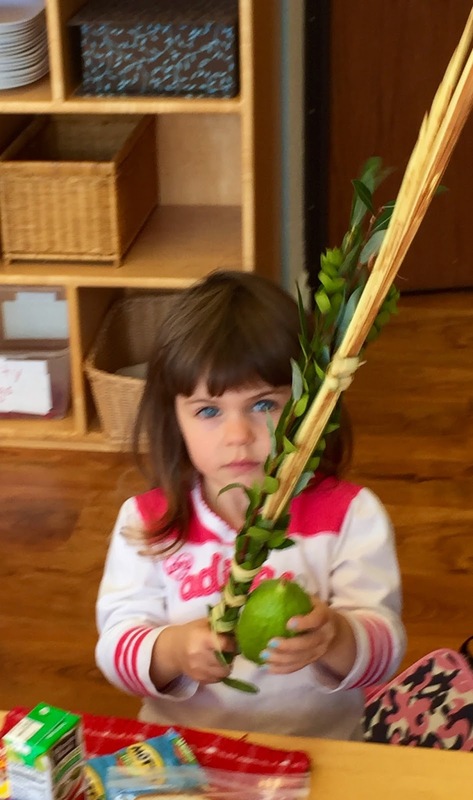 Morah Katie: It is still Sukkot! What is one of the mitzvahs we do for Sukkot? Ari: We build a sukkah. Morah Katie: We build a sukkah. How many walls does a sukkah have? 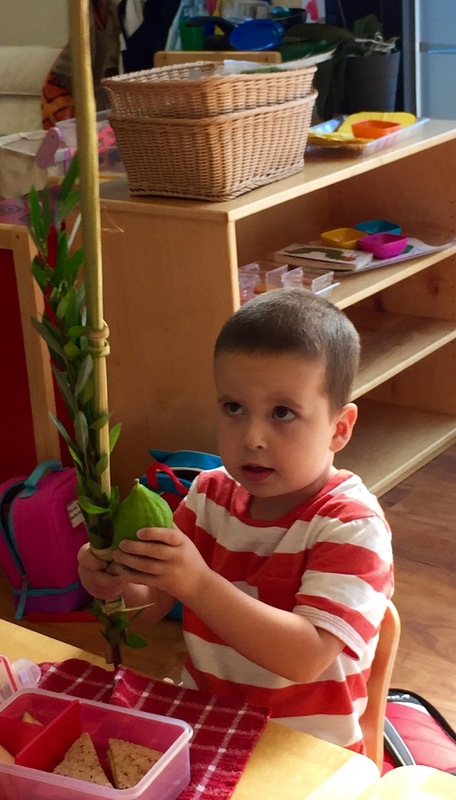 Morah Katie: What do we do with the sukkah? Judah: We eat in it. 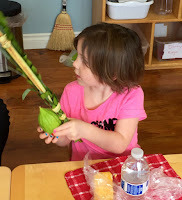 Olivia S.: We invite people to come in our sukkah. 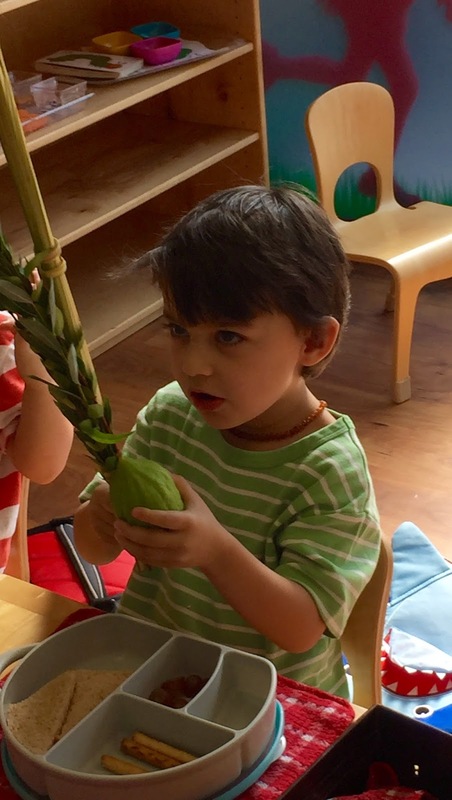 Augie: We have fun in the sukkah. Abe: You could probably read in it. Or play in it. Morah Katie: When we are inside the sukkah, what do the walls remind us of? Judah: The clouds Hashem sent to protect the Jewish people when they were in the desert so they wouldn't get so hot and the sand wouldn't be so hot. Morah Katie: Evan, why can I see your face? Evan: Because it isn't a real roof. 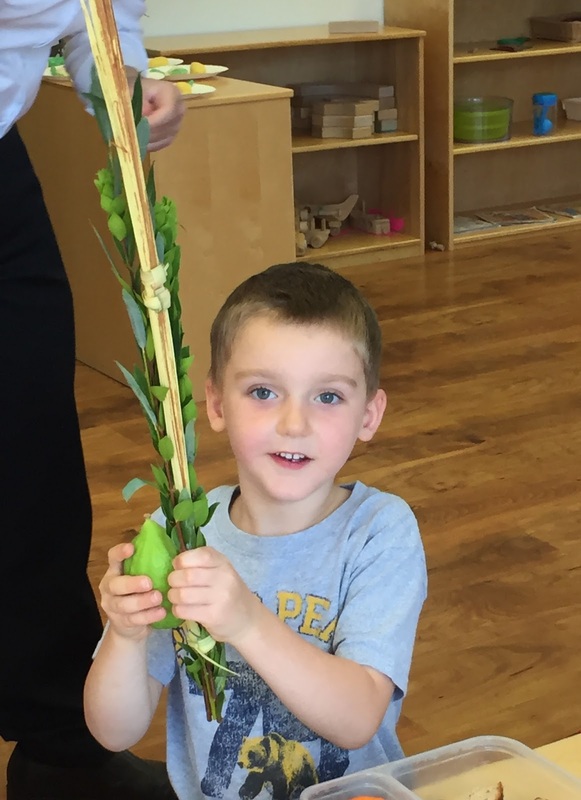 You are suppose to be able to see out and see the sky and if the rain falls in that's ok.
Augie: We are making the sukkah pretty with flowers. Sadie is play eating inside it and we are making it beautiful. We used play dough to make lulavs and etrogs. 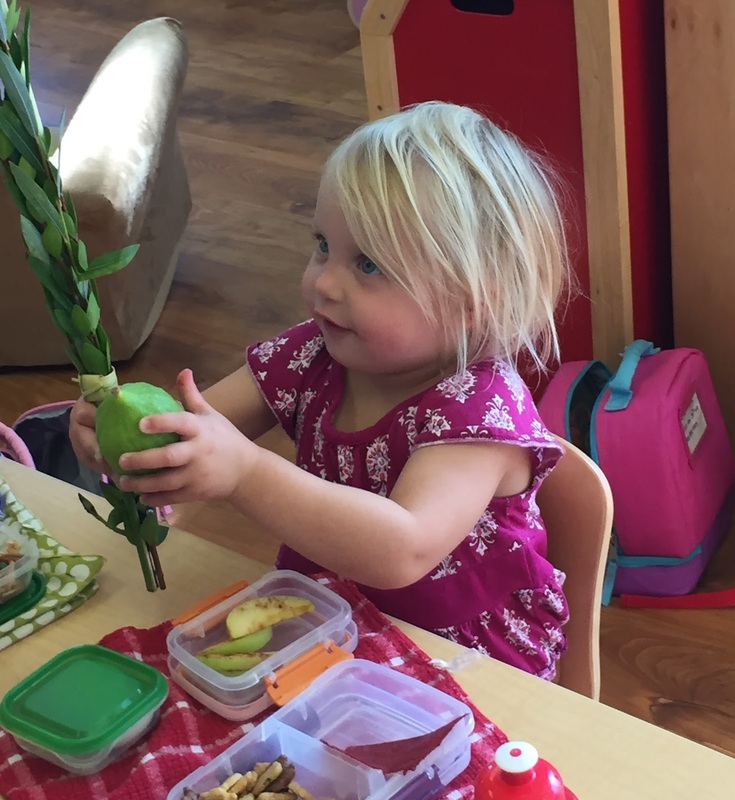 Morah Katie: What is another mitzvah we do during Sukkot ? Abe: We hold the different branches and the fruit together and we wave them. 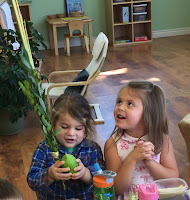 Judah: The lulav and the etrog. 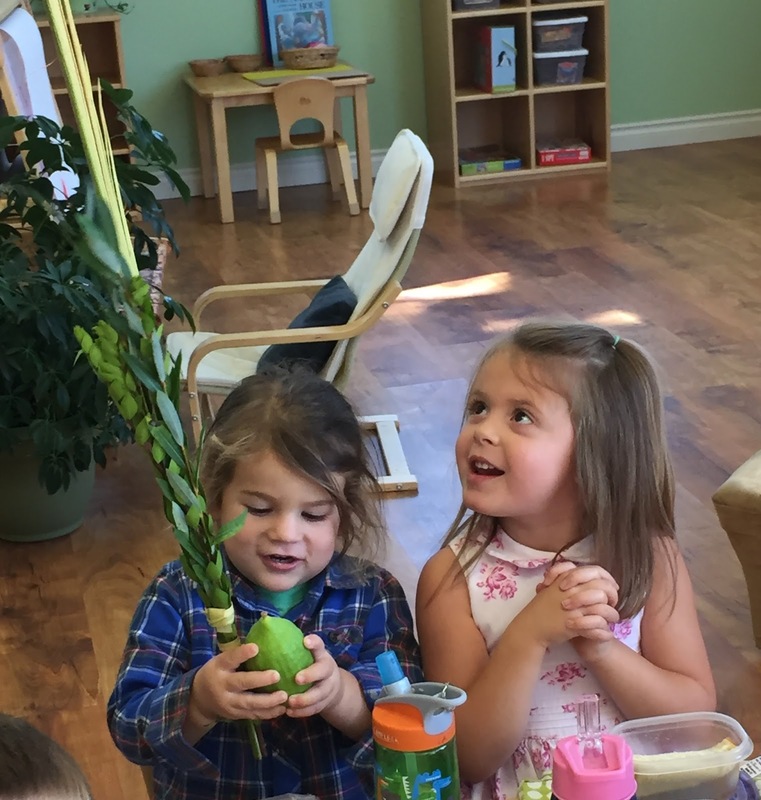 Morah Katie: We take 4 different plants, put them together and say a special blessing while holding them. Evan: The etrog is the fruit. It's yellow but it isn't a lemon. Judah: There are 3 branches and one fruit. 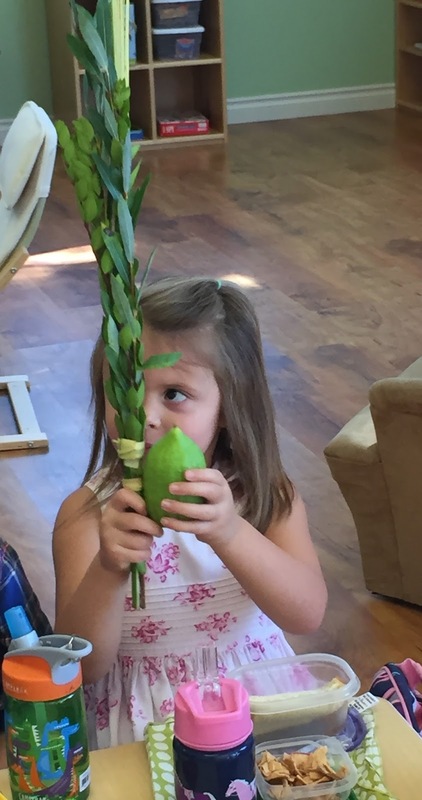 I'm adding the myrtle leaves to my lulav. We made sun catchers to decorate our classroom for Sukkot. 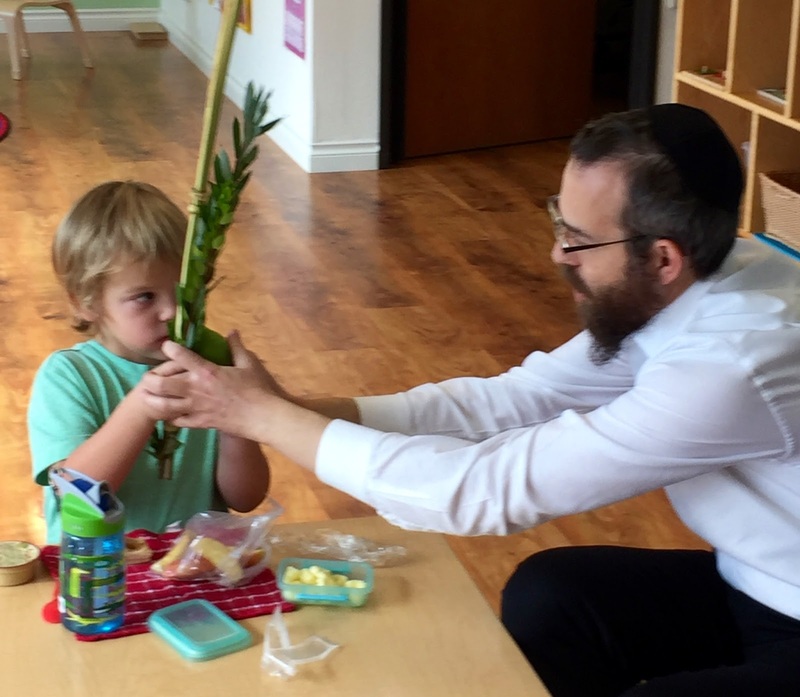 Rabbi Greenberg joined us for lunch and helped us make the blessing with the lulav and etrog. Judah: Look at this sukkah! Wow! 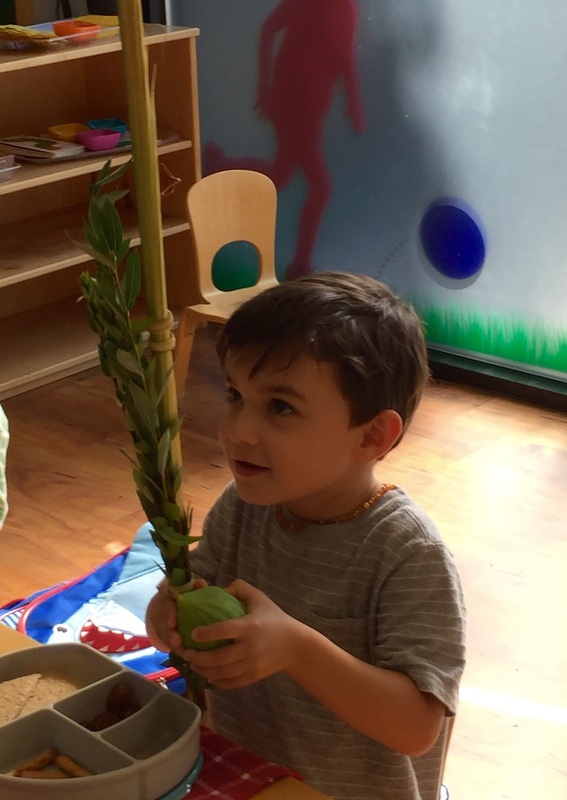 Augie: This sukkah is too small for us to eat lunch in. Augie: We fit in this sukkah for lunch!